If you’re an enthusiast who works on their own vehicle, the sweet temptation of cheap tools at Harbor Freight is hard to resist. But if you’ve bought enough stuff from Harbor Freight you have probably had at least one experience with deep frustration and outright failure due to some of Harbor Freight’s lower quality offerings. 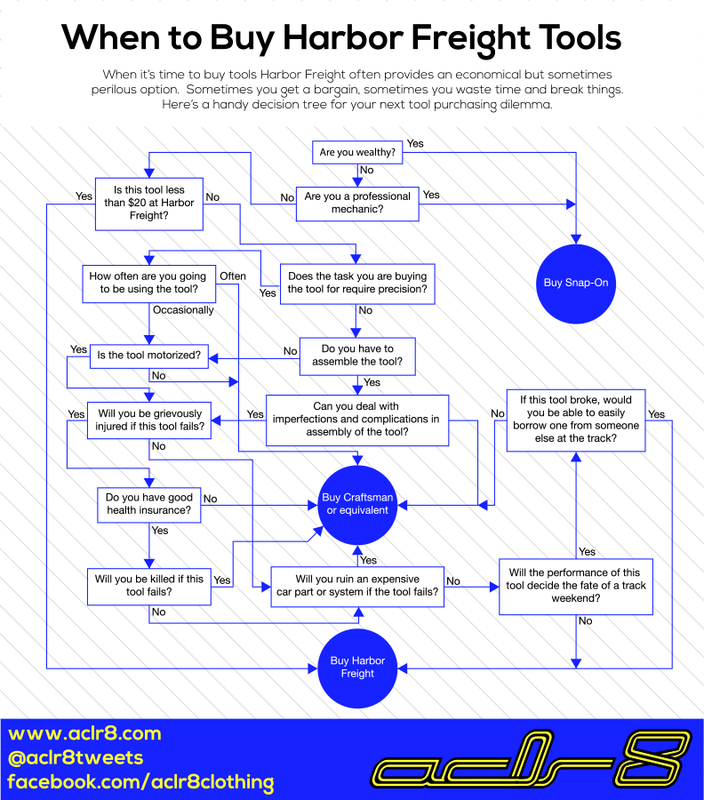 Here’s a handy decision tree to help you decide when Harbor Freight is the way to go.